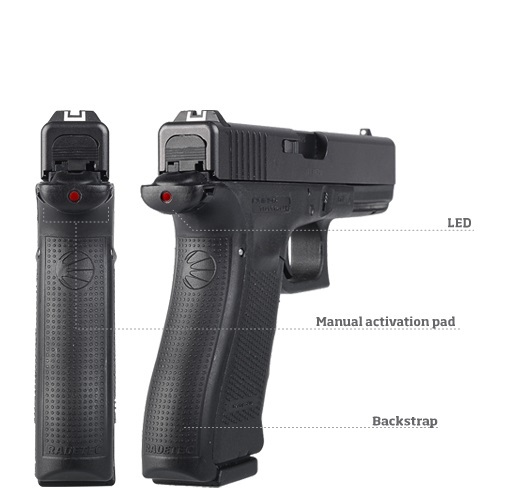 · Features a bright red LED to warn the user of the last four rounds remaining inside the magazine. · Easy to install. 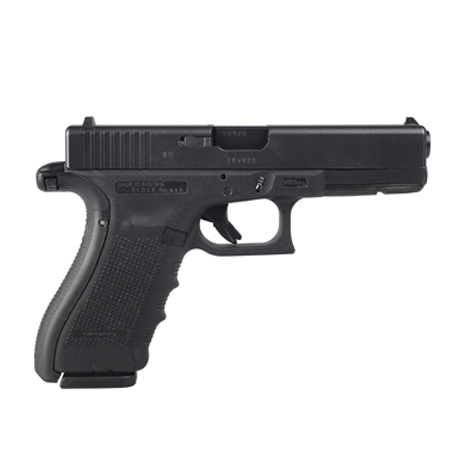 Replace the factory backstrap. The system is the same size and weight of the factory backstrap. 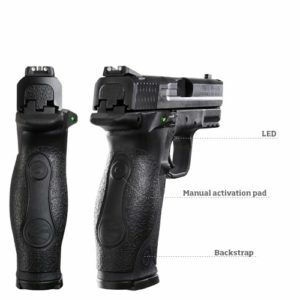 · The system has a manual activation button to check if the firearm is low in ammunition. · Uses one CR2016-CR2032 battery. · The system has an auto dim feature for low light situations. 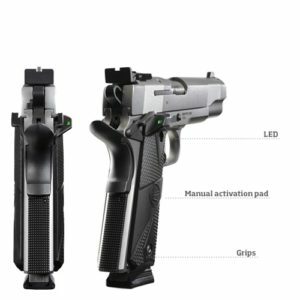 · It does not detect the round housed in the chamber. 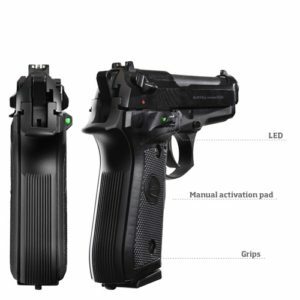 · The LED warns you when the rounds in your magazine are running low. · Light automatically adjusts depending on the brightness of the environment. · Pressing the button warns you only if the magazine is running low. · Same texture as original strap.